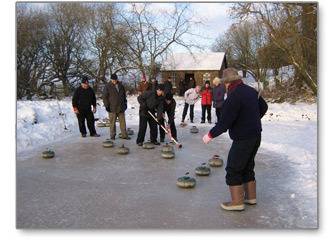 For the first time in 2010 Balfron Curling club was outside having a match! The match was between Balfron and Killearn on the frozen rink at Killearn in the winter sunshine on the 10th of January. The match was a great success with the ice playing well and everyone having a good day. Thanks to all that partisipated.